CrawlNroll Eco friendly mat is made of earth and baby friendly material and has been tested to to US CPSIA safety Standards. Eco-friendly PVC foam and embossed surface of the mat guarantee soft cushioning, durability and babies safety. 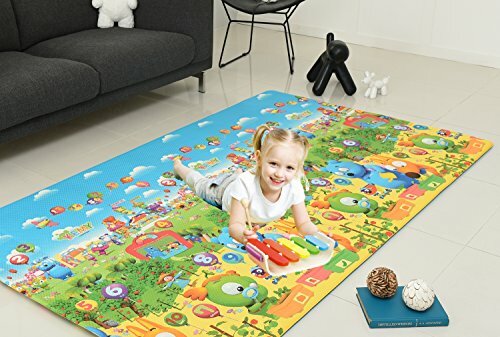 The various characters and educational content of the mat help the kids and babies to develop their senses and cognitive abilities. If you have any questions about this product by CrawLNRoll, contact us by completing and submitting the form below. If you are looking for a specif part number, please include it with your message.